Twitter user @MrKennethTong, believed to be former Big Brother contestant Kenneth Tong, posted a number of offensive statements on his account about the grieving musician's late daughter Poppy. His comments, which provoked a mass outpouring of anger on Twitter, have been widely condemned by other users and celebrity friends of Barlow and his wife Dawn, who delivered her fourth child stillborn in London on Saturday. The Take That star's fellow X Factor judge Louis Walsh was among those calling for Tong to be banned from the microblogging website. He wrote in a tweet: "How DISGUSTING. This man should not be allowed on twitter. RETWEET this if you want him banned!" He added: "Kenneth Tong shouldn't be allowed to tweet such horrible things. 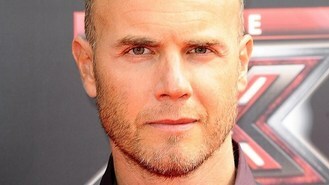 His tweets to Gary Barlow are horrific & disrespectful to the lowest level." Tong, who appeared on series 10 of Big Brother in 2009, referenced lyrics from a number of Take That songs in the series of tweets directed at 41-year-old Barlow. He also posted a picture of a child's coffin accompanied by more sickening comments. Pop star Professor Green was among other celebrities to criticise Tong. He tweeted: "@MrKennethTong never in my life seen such a disgusting case of attention seeking ... please never have children." Big Brother's Bit On The Side presenter Jamie East also showed his disgust. "Nothing would make me happier today than seeing Kenneth Tong going to prison. What an absolutely hateful, hateful human being," he wrote. Barlow had previously spoken about how he was looking forward to becoming a father for the fourth time with his wife, a 42-year-old dancer.